Guard your gear with the hard-wearing aluminium lid. 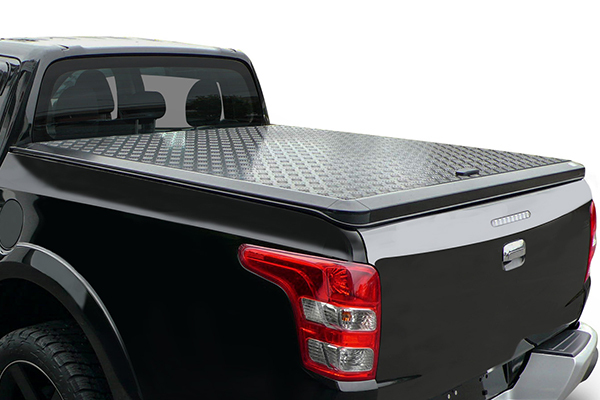 The Defender Hard Lid allows you to use your ute bed as a secure storage space. No more filling your back seat with dirty tools, gear or supplies. Built from hard-wearing aluminium checker plate and powder coated black, it’s not only tough but stylish. Have everything within reach, a 47° opening angle allows for all angle access to your tray, more than any other lid on the market. Keep your productivity high with a single pop-lock handle that efficiently locks both sides of the tray. Give your Defender carrying capacity with Cargo Rails, these sleek rails are an optional extra, powder coated black and capable of handling up to 50kgs. • Hard-wearing aluminium checker plate construction. • 47° opening angle for all angle access. • Efficient single pop-lock handle that locks both sides of the tray. • Optional cargo rails rated up to 50kg.